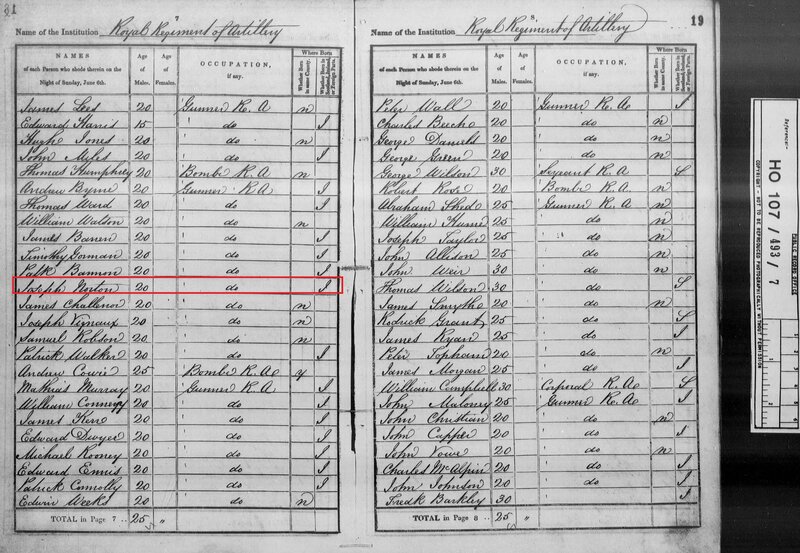 Birth date and place c. 1822 Island of Lambay, Lusk, Dublin, Ireland. 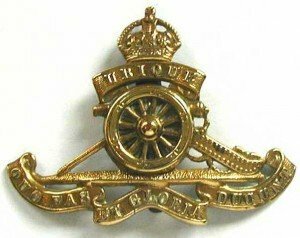 England, Wales & Scotland Royal Regiment of Artillery, Woolwich, Kent (1841). 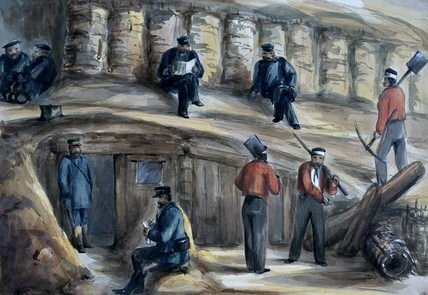 Royal Artillery Garrison, West Thurrock, Essex (1861). Physical Description Height: 5 ft. 8 ins. Complexion: fresh. Eyes: grey. Hair: brown. 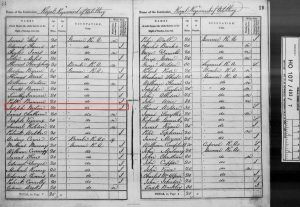 Death date and place 2 Feb 1874 Dublin [Reg. Dublin South, Vol. 2, Page 539]. 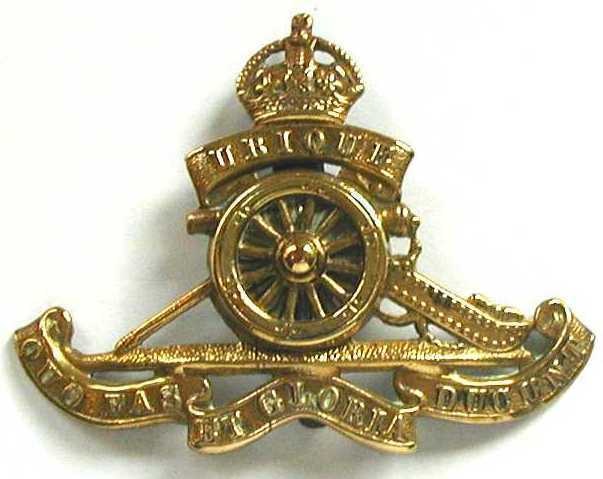 Regiment(s) Royal Artillery, 1st Battalion, 1st Company. Regiment No. and Rank #1298 Gunner & Driver. 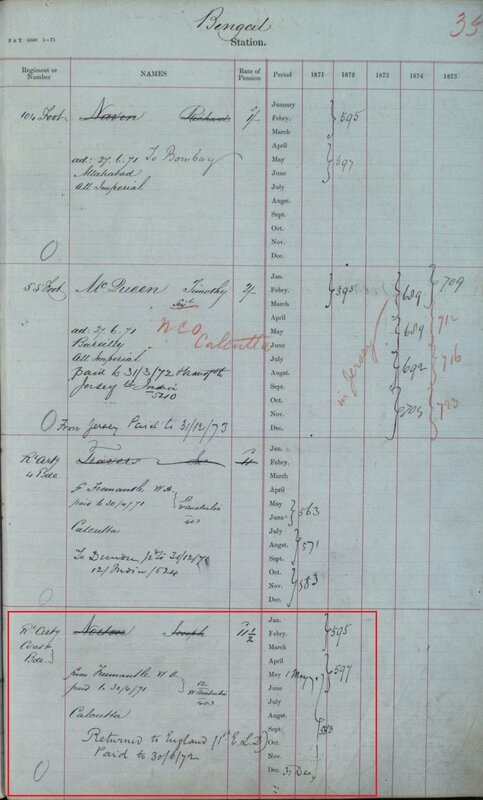 Attestation date and place 11 Jan 1841 Dublin, Dublin. Crimea 1 year 8 months. Musters 1841 Adjudant’s Detachment, Woolwich [WO10-1817]. Leith Fort, Tower of London, Pigeon House Fort Dublin, Spike Island [WO10-2820]. 14 Jul to 24 Aug 1845. 2 Jul 1847 to 12 Jul 1847. 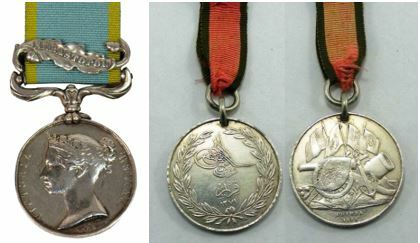 20 May 1850 to 30 Jun 1850. 33 times entered in the Regimental Defaulters Book. Discharge date and place 19 May 1863 Woolwich. Length of Service 22 years 34 days. Post Discharge Pension District 2nd Dublin (1863). Fremantle (1865 to Jun 1871). Calcutta, Bengal Station (to Dec 1871). 1st East London (to Jun 1872). Dublin (1872). Toronto (1873). Dublin (1873). Pension Amount 11½d. per diem. Misc. Newspaper Articles Inquirer & Commercial News 24 Oct 1866 [witness in the Supreme Court]. Perth Gazette 3 Dec 1869 [disposal of land at auction]. 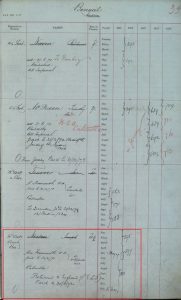 Joseph Naughton (Private, East India Company) who also arrived on Racehorse in 1865. Departure from WA Departed Fremantle in June 1871 for Bengal (see sidebar), vessel unknown.